This exhibition, "The Life and Times of Benson Fihla” will preview at the Gala Dinner that will be held at the Feathermarket Hall. 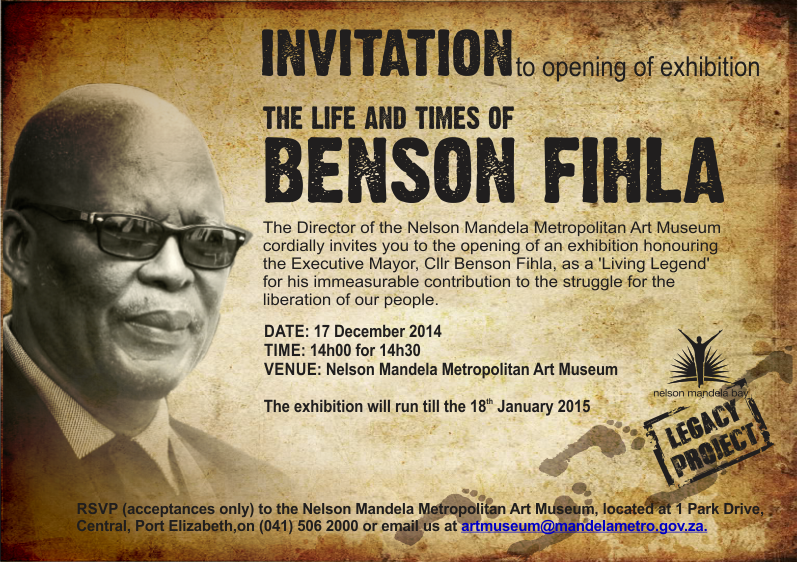 It will be followed by a public opening at the Nelson Mandela Art Museum on the 17thof December. The exhibition will run until the 18thJanuary 2015.